Times are still tough for many people and, let’s face it, who doesn’t want to save a little money? With that in mind, many pet parents with multiple dogs wonder about buying a larger dose of heartworm chewables or tablets and then splitting it between two smaller dogs. While on the face of it, splitting the medication might seem like a great and economical idea, this practice is not recommended. When splitting oral heartworm medication (especially soft chews), it is possible that you will not divide it evenly thereby resulting in one dog getting a smaller or larger dose. Additionally, oral heartworm medications have the active ingredients blended throughout and while theoretically the active ingredients are evenly distributed, there is no guarantee that there will be an equal concentration of the medication in each part. So, even if you’re able to split the chew exactly, one half could still have a higher or lower concentration of the active ingredients. It’s also important for your veterinarian to know what medications each dog is taking, so you should never give a medication prescribed for one dog to another dog. 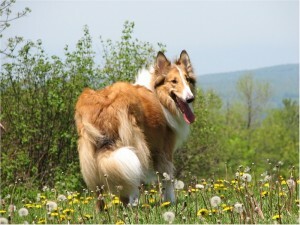 For example, certain breeds especially in the herding group have an abnormal MDR1 (multi drug resistant 1) gene and should not be given products containing Ivermectin. In this case, giving your Collie a dose of Heartgard prescribed for another dog could result in a serious adverse reaction. While saving money is always good, preventing heartworm disease is far less expensive than treating it. Remember, there are other ways you can save on your dog’s heartworm medications such as choosing lower-cost generic alternatives.